Comment: I would like to get an estimate for upholster furniture. Comment: The leather is peeled of . I would like a free estimate. Comment: simple writing desk. white table top with gold metalic legs, if possible. dimensions are everything. simple, not fancy. no drawers attached. was hoping for roughly 60" long and about 19-20" deep, and regular desk height (adjustable height a plus!). 273 E. Irving Park Rd. 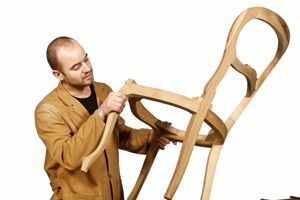 Superior Custom Furniture Restoration, Inc.
Chicago Furniture Repair Services are rated 4.79 out of 5 based on 435 reviews of 21 pros. Not Looking for Furniture Repair & Refinish Contractors in Chicago, IL?